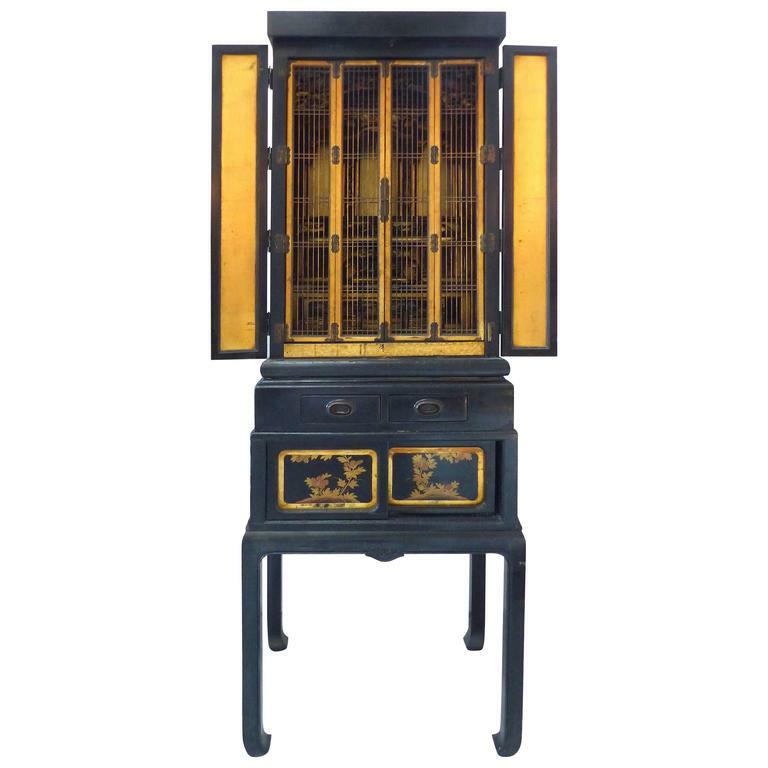 A rare very large black lacquer and giltwood Japanese Buddhist temple with the original stand. Circa turn of the last century, the cabinet closes completely with ornate zinc hardware. The exterior doors fold back to reveal a gilt interior finish and a second set of gilt gates. The temple interior is ornate with various levels including a Buddha pedestal and gilt sliding doors for storage. Below, the stand offers additional storage with two drawers and a sliding compartment below.